Chinese smartphones are sure to conquer the world market. The next iconic brand, well-proven in the consumer environment is IOCEAN. Brand with the same name owned by the company Shenzhen IOCEAN Digital Communicattions Technology CO. The first phones IOCEAN appeared in 2010, it was then that a large Chinese shopping center TMALL consumers could appreciate the advantages of the products offered. However, to international fame it was still far away, but in 2013 the company released the first, truly a landmark model IOCEAN X7, which became popular in the global market. The main feature of the company is the incessant introduction of innovative technologies. This manages to combine excellent performance and reasonable prices for smartphones IOCEAN. The list of products produced by the Chinese manufacturer, includes a series of products from the OEM supplied not only to the domestic but also the international market. Despite this resonance excitement surrounding the company products, it has a relatively small size. The owner of the company Mr. Qiang, provides jobs for 1,000 people. Thanks to the hard work of Chinese experts, the company manages to deliver products to the most promising global markets: • North America • Latin America • Asian South East Region • Eastern European States. Chinese IOCEAN devices are multifaceted, they have lots of features that attracts buyers worldwide. Undoubtedly, the main advantage is the large range of products, the company boasts the production of the following types of computer: • Mobile phones - GSM standard • Smartphones-FM - built the GPS • Telephone TV - Dual SIM Touchscreen mobile devices • • Musical smartphones. At the same time, selling devices such as ODM and OEM. The company has laid the extensive responsibilities, it not only produces, but acts as a wholesale distributor. Despite the uneventful story IOCEAN about the company, you can tell a lot. The organization was founded back in 2000, its head office is located in the Chinese city of Shanghai. After passing the initial phase of development, the company starts to set up branches in the country. Thus, in 2006 in the city of Shenzhen appeared first representative producer. Gradually gaining weight in the domestic market, in August 2007, the decision on opening a representative office in the capital of China in Beijing. The main focus of the newly opened branches, becomes a production and sale of R & D of mobile phones. In that period, it began the separation of the ultimate parent company of the newly formed brand IOCEAN, which subsequently began to promote separately. Due to the smooth and efficient operation, gradually came capitalization growth of the company since 2008, the value of its assets has been evaluated in 20 million yuan. Particular attention is given to recruitment, invited managers tend to have a great experience in the well-known enterprises. Much attention is paid to the organization of the production process, which is why phones IOCEAN, collected only positive reviews. This is due to the excellent industrial resources available to the manufacturer, as well as comprehensive quality control at every stage of production. Charge to increase the capitalization, which has become a consequence of an increase in profits from the retail and wholesale sales, was made in 2010. It was then, began to actively use e-commerce tools. The company began to actively to sell their products through trade and entertainment centers: • JD • TMALL • DANG DANG. Starting in 2013, it was possible to start direct official sales and strengthen its marketing position. 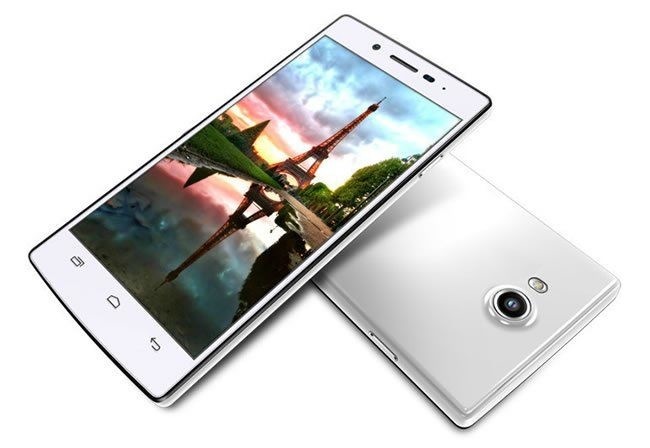 This recognition came with the release of a series X7 phones belonging to the category FHD products. Today, the company's success attracted the attention of large investors, in particular, it is a licensed partner of such well-known brands in the world as QUALCOMM and MARVEL. This area, mainly due to the work aimed at the development of R & D ,. software and hardware In addition, actively designed the supply chain, effectively managed from the head office in Shanghai. The strategic business model, aimed at finding partners in each region, which are carried out deliveries of production. Through this approach, get a phone or tablet IOCEAN, can be almost anywhere in the world.